The spring deadline to apply for USDA Rural Energy for America Program (REAP) grants is April 1, 2019. Applications for loan guarantees are accepted year-round. REAP assists agricultural producers and rural small businesses in reducing energy costs and consumption by purchasing and installing renewable energy systems and making energy efficiency improvements in their operations. Who may apply? 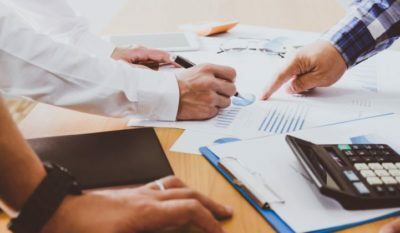 Small businesses in eligible rural areas and agricultural producers, both rural and non-rural, who have at least 50% of their gross income coming from agricultural operations, may apply. REAP grants provide up to 25% of the total project costs, and a grant and loan combination up to 75%. Eligible projects include renewable energy systems and the purchase, installation and construction of energy efficiency improvements. Additional details are posted here. 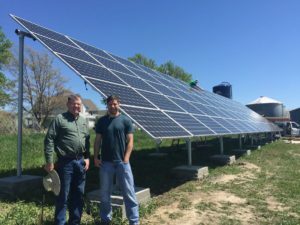 See Solar Examples for brief descriptions and photos of more Nebraska farmers & ranchers who have installed PV systems to reduce their energy costs. 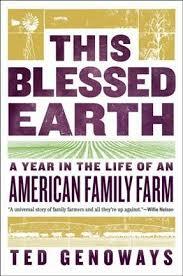 Rick Hammond and his family are the subjects of This Blessed Earth, the One Book, One Nebraska pick for 2019. Ted Genoways’ award-winning book is also this year’s All Iowa Reads Selection. The way we eat and produce food is a significant contributor to climate change. In fact, agriculture is estimated to contribute between 13% and 24% of global greenhouse gas emissions. Any “Green New Deal” needs to not only enable innovation around sustainable agriculture, but also encourage farmers to adopt new, environmentally-friendly technologies. This entry was posted in Financing, Incentives, Nebraska / Midwest News and tagged Green New Deal, guides to solar farm leases, Jeff Carpenter - Nebraska Rural Development Energy Coordinator, Nebraska farmers and ranchers who have installed PV systems, Nebraskans for Solar NewsBlog, reducing farm energy costs, Rural Energy for American Program (REAP}, solar farm leases, This Blessed Earth on January 26, 2019 by Helen Deffenbacher. Boston Mayor Marty Walsh announced in June plans to partner with other cities to explore collective purchasing of renewable energy in order to bring down costs and incentivize more development. So far on board are cities including Chicago, Houston, Los Angeles, Portland and Orlando. The RFI aggregates the 20 cities’ combined 5,700 GWh of annual municipal loads said Adam Jacobs, Boston’s energy manager in the webinar hosted by the American Council on Renewable Energy. The announcement comes as a part of Mayor Kevin L. Faulconer’s ambitious 100% by 2035 renewable energy mandate for the city. CCAs happen when local governments, either municipalities or counties, form an entity to procure electricity for their communities. In the Golden State they have allowed communities to procure renewable energy even more rapidly than the statewide 60% by 2030 mandate. RE100 has gone Down Under, demonstrating the potential for corporate sourcing of renewables to help shift the energy market in Australia away from polluting coal. This week saw the first Australian meeting of RE100 – the global corporate leadership initiative on renewable electricity led by The Climate Group in partnership with CDP. 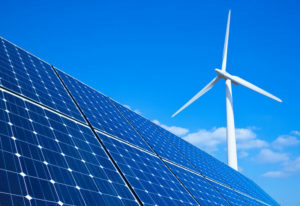 This entry was posted in Financing, NewsBlog and tagged CDP, cities & counties collectively purchasing renewables to reduce costs, Community Choice Aggregation (CCA), corporate renewables procurement, Production Tax Credit (PTC), RE100, renewable energy leadership, renewable energy news, The Climate Group on October 29, 2018 by Helen Deffenbacher. 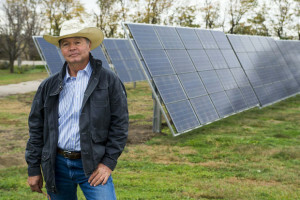 The drop in [Dwight] Dial’s power bill has been dramatic since his solar equipment started powering his home and farm in mid-July. While his May-June 2018 electrical bill was $762 and the June-July bill was $580, the bill dropped to $263 after the solar system had run for 17 days in mid- to late-July. His August-September bill plunged to $77. While the cost of Dial’s solar project totaled $85,000, he paid only a fraction of this, thanks to current tax incentives, grants and other resources. He received a 30 percent federal tax credit, along with a 15 percent state tax credit, for installing his solar energy system. He also worked with a local grant writer to apply for a federal grant, which he received. “That helped pick up another 13 percent of the system’s total cost,” Dial said. “With all the incentives, it was like paying $27 for something that normally costs $100.” Read more here. See Solar Examples to view more solar-powered Nebraska farms. NOTE: Qualified applicants include urban as well as rural food producers. REAP grants provide up to 25% of the total project costs, and a grant and loan combination up to 75%. Eligible projects include renewable energy systems and the purchase, installation and construction of energy efficiency improvements. REAP Fact Sheet for a complete list of eligible projects. 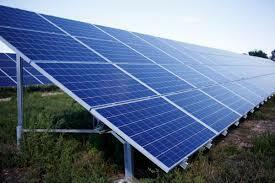 Western facing or single or dual axis tracking fixed-photovoltaic solar – the unit’s nameplate DC capacity (kW) x $475. This entry was posted in Financing, Nebraska / Midwest News and tagged business equipment depreciation, Federal 30% Small Wind Investment Tax Credit (ITC), Federal 30% Solar Investment Tax Credit (ITC), Lincoln Electric System's solar incentive, Nebraska's urban and rural food producers, Rural Energy for America Program (REAP), solar powered farms in Nebraska, ways to significantly cut the costs of solar & small wind projects on September 23, 2018 by Helen Deffenbacher. [Green] bonds were the brainchild of dealmakers at Bank of America—the $87 billion, 209,000-employee giant that occupies the No. 3 spot on Fortune’s Change the World list this year. Their work is part of BofA’s $125 billion Environmental Business Initiative, a campaign that has established the Charlotte based bank as a powerhouse in “climate finance”—the unglamorous but essential business of steering investor capital into the low-carbon economy. Green bonds, which the bank all but invented, have raised $442 billion worldwide since 2013, helping borrowers both tiny (the Antioch, Calif., Unified School District) and enormous (trillion-dollar Apple) pay for renewable-energy innovations. Read more here. changemakers—those pioneering business leaders who look at social issues material to their long-term success and say, “We can do things differently.” They’ve embarked on a strategic shift towards shared value, a smarter business model that reimagines the way companies build new markets, innovate, create distinction, and contribute to a thriving society and planet. This entry was posted in Financing, NewsBlog and tagged Bank of America, financing renewable energy development, Fortune's Change the World List, green bonds, sustainable businesses on August 20, 2018 by Helen Deffenbacher. Assistant to the Secretary for Rural Development Anne Hazlett seeks applications for loan guarantees and grants for renewable energy systems and energy efficiency improvement projects. The deadlines to apply for grants are Oct. 31, 2018, and April 1, 2019. Applications for loan guarantees are accepted year-round. REAP helps agricultural producers and rural small businesses reduce energy costs and consumption by purchasing and installing renewable energy systems and making energy efficiency improvements in their operations. Read the entire release here. Small businesses in eligible rural areas and agricultural producers, both rural and non-rural, who have at least 50% of their gross income coming from agricultural operations, may apply. See REAP Fact Sheet for a complete list of eligible projects. 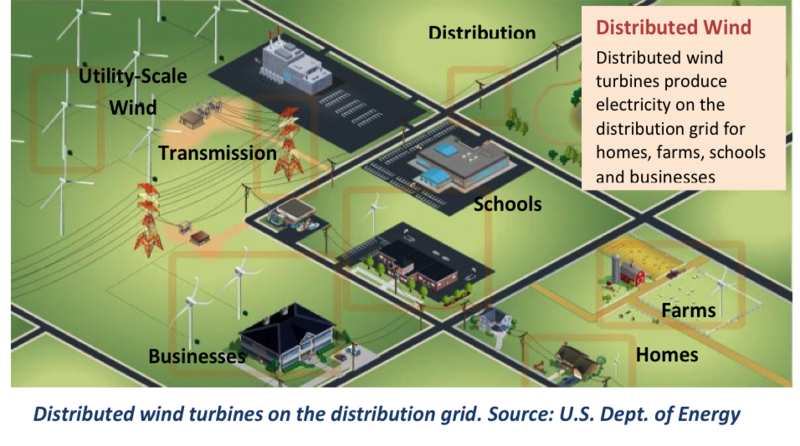 What is Distributed Wind Energy? Distributed wind energy systems offer reliable electricity generation in a wide variety of global settings, including households, schools, farms and ranches, businesses, towns, communities and remote locations. 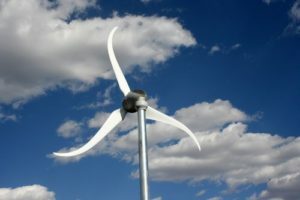 Projects range for example from a 1-kilowatt (kW) or smaller off-grid wind turbine at a remote cabin or cell phone tower – to a 10-kW wind turbine at a home, small business, or small agricultural load – to several multi-megawatt (MW) wind turbines at a university campus, manufacturing facility or any large energy user. What is Small Wind Energy? Small wind is defined as wind turbines with a capacity rating of less than or equal to 100 kW. Turbines in this category range in size from smaller than 1 kW for off-grid applications to 100-kW turbines that can provide village power. Fifty-four small turbine models are offered commercially in the United States for applications including homes, schools, commercial and industrial facilities, telecommunications, farms and ranches, and communities. 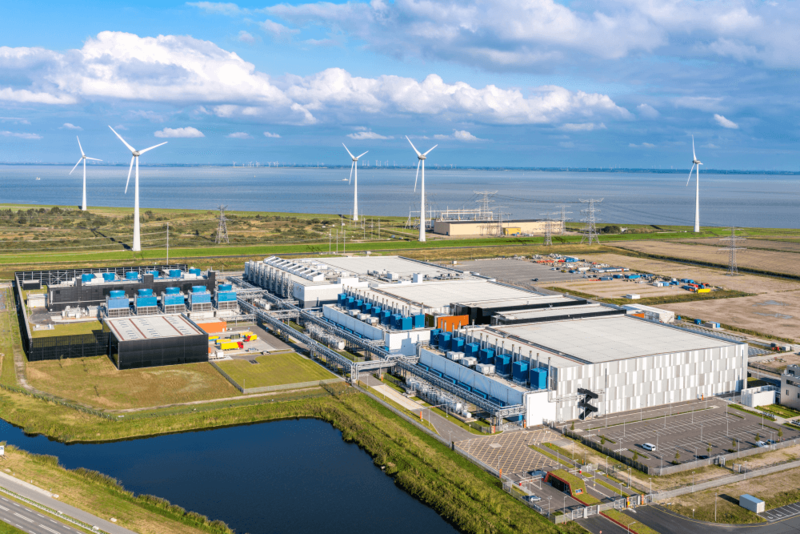 The Distributed Wind Installers’ Collaborative, which is funded by the U.S. Department of Energy, has produced a series of case studies showcasing the many facets and opportunities within the distributed wind industry. The first published case studies feature projects located on a dairy farm, at a net zero home, a recycling facility and a rural cooperative. This entry was posted in Financing, Incentives, Nebraska / Midwest News and tagged business equipment depreciation, Jeff Carpenter, Nebraska REAP Program, rural economic development, Rural Energy for America Program (REAP), solar and small wind incentives, US Department of Agriculture on August 17, 2018 by Helen Deffenbacher. In addition to TIF [Tax-Increment Financing], the developers seek “enhanced employment area occupation tax financing” amounting to nearly $10 million. Overall, the bulk of funding would come from a construction loan and investor equity, but also helping to fund the project would be about $6.5 million in federal and state historic tax credits and $3.5 million in Property Assessed Clean Energy financing (PACE is a new financing tool used to upgrade energy, water and utility systems in commercial properties). Read more here. 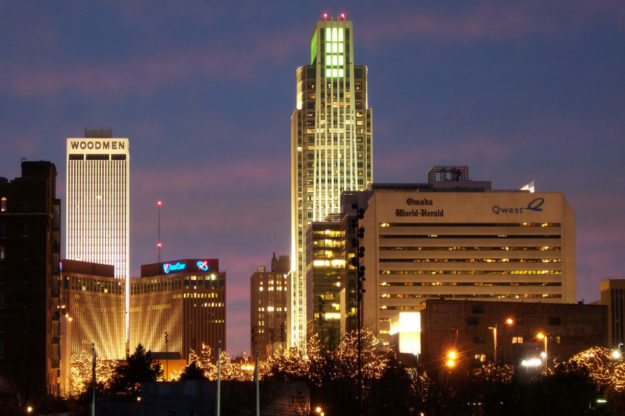 BEATRICE – The City of Omaha is the first to adopt an ordinance allowing its use in Nebraska. The City of Lincoln is considering the same. Now, Beatrice is being asked to consider Property Assessed Clean Energy financing, or PACE, as another tool for economic development. It’s described as a low-cost, long-term financing mechanism for energy efficiency or renewable energy projects. 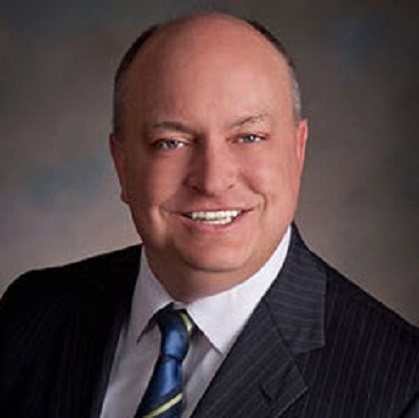 Chris Peterson, Managing Partner for Pace Sage Capital in Nebraska, worked as a Legislative Aide to former State Senator Heath Mello when PACE was enabled through state law, making Nebraska the 34th state to enact it. Watch the video, PACE in 90 Seconds and download PACE Basics One-pager. Nebraska passed PACE-enabling legislation in 2016. PACE was named one of the top 20 “world-changing” ideas by Scientific American magazine. This entry was posted in Financing, Green Building, Nebraska / Midwest News and tagged Cindy Gonzalez, City of Beatrice, City of Lincoln, City of Omaha, Nebraskans for Solar NewsBlog, Omaha City Council, Omaha World Herald, Property Assessed Clean Energy (PACE) Financing on July 4, 2018 by Helen Deffenbacher. Registration Deadline for Solar Design and Installation Workshop Friday, June 29th! Photo: Previous workshop participants and their DIY solar array. This entry was posted in Financing, Nebraska / Midwest News, Solar Energy Education and tagged cost savings through DIY solar, DIY solar, John Hay, Jon Dixon, Nebraskans for Solar NewsBlog on June 26, 2018 by Helen Deffenbacher. The new guidance provides two methods for determining a “commence construction” date. This entry was posted in Financing, Incentives and tagged investing, Investment Tax Credit (ITC), Production Tax Credit (PTC) on June 25, 2018 by Helen Deffenbacher.